I am a free-lance writer, including writing for Buddhist Portal. 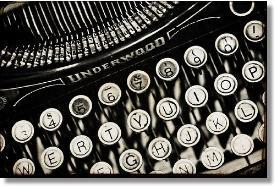 I also lead creative writing workshops and offer I Ching readings. Vertical Time yoga refers to a set of primarily standing yoga postures and meditations that I began developing in 2012, and is still a work in progress. Between 2004 and 2011, I devoted much time to being an artist/traveler; primarily a writer of essays, travel writing, poetry and memoir, but also as a documentary filmmaker and photographer. Travel was a time of writing, meditation and immersing myself in the daily life around me in countries including Cambodia, Turkey and France. From 2007 to 2010 I saw my parents through their last years of their life, and made a film about death and dying, Denise: Circle of Blessings. 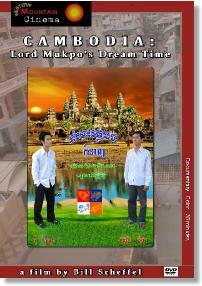 In 1976 I met my spiritual teacher, Chögyam Trungpa Rinpoche, who has been the inspiration for much of what's expressed on this website, including my film Cambodia: Lord Mukpo's Dream Time. I was born near San Francisco in 1954, and grew up in South Lake Tahoe, California, a resort town bordered by gambling casinos and built on the shores of one of the bluest, largest, purest, and deepest bodies of fresh water in the world. Detail fr. 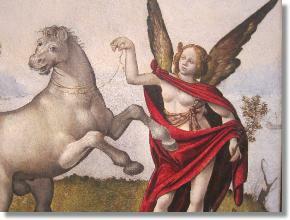 Allegory, by Piero De Cosima, c. 1500. If you have an inquiry, suggestion or would otherwise like to contact me, please select the Inquiry box and I will write back to you promptly. Thank you. the 1st of any month. Denise: Circle of Blessing is a 60 minute documentary about the last three months of Denise Thornton's life. 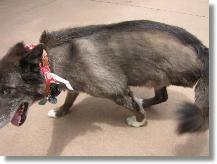 At age 49, Denise was diagnosed with stage-four, metastasized cancer. During the remaining three years of her life, Denise not only defied her initial prognosis of six months to live, but embraced her illness as a spiritual path and as a way of sharing her life with others. A brave and charismatic woman, Denise was a unique individual with much to teach us about our own lives and death. Watch the entire film online. 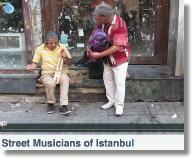 A homage to various street musicians I came upon during countless walks along Istiklal Cadessi, the historic and perpetually popular grand boulevard of Beyoğlu district, Istanbul. I wrote this book in 2001. 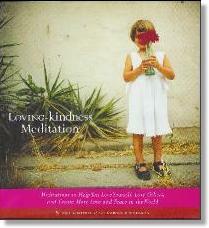 It is an essay on Buddhist - but also universal - practices of loving kindness. The publisher added the (stock) photographs. You can read some of the book on Amazon. 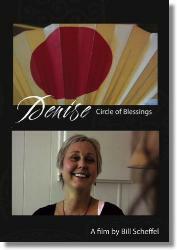 New on this website: Denise:Circle of Blessing can now be viewed in its entirety online. My latest stories are Spirit if the Vehicle of Touch, and three other stories.